Following up on the first two movies in the Curse series, this 1991 entry doesn’t have any discernible connection to the films that came before it but it’s entertaining in its own kooky way. 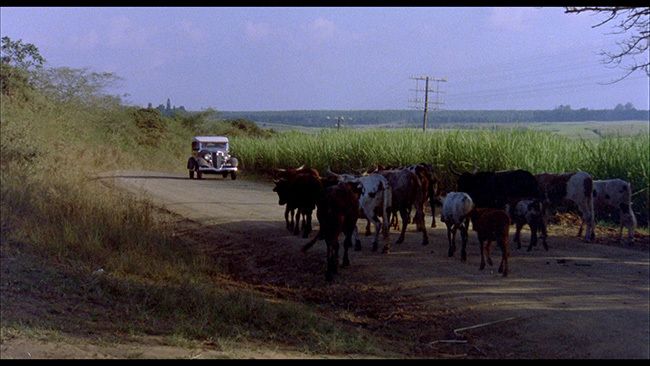 The only directorial credit for prolific editor Sean Barton, the film is set in Africa where an American woman named Elizabeth Armstrong (Jenilee Harrison) has just tied the knot with Geoff (André Jacobs), the wealthy owner of a sugar cane plantation. She’s also recently found out that she’s pregnant. 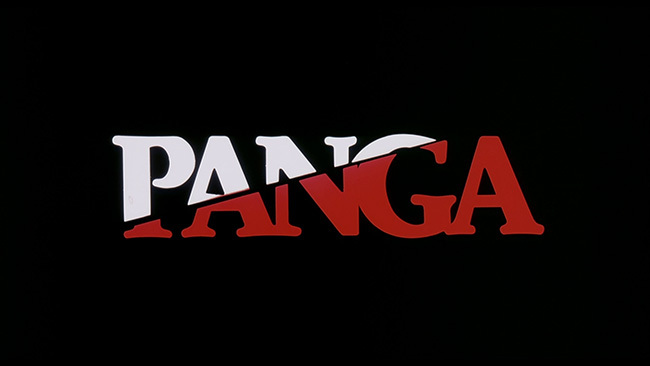 Alternately known as Panga and Curse III: Panga, this isn’t any sort of unsung horror classic but it is entertaining enough to make for a fun time killer, particularly if you have an affinity for horror movies set on the ‘Dark Continent.’ The African settings do give the film some originality and the local flavor that this provides results in some interesting ideas and set pieces coming to life. Politically correct viewers might not be impressed with how the film has aged but, like any film getting on in years, it was a product of its time and should be viewed as such. There aren’t any deeper political meanings here, no treatises on the apartheid regime or anything like that, just a goofy movie about a curse and a killer. The movie provides a few solid stalk and slash set pieces, a few of which get a bit splashy, and it offers up an appropriately wonky looking monster. It builds to a satisfying conclusion with a good bit of tension as well. The pacing is fine and the direction, lighting and cinematography all perfectly competent, sometimes even impressive. As to the acting? Lee is the standout here, his inimitable presence welcome in any picture, horror or otherwise. He makes a good doctor and it’s fun to see him here. 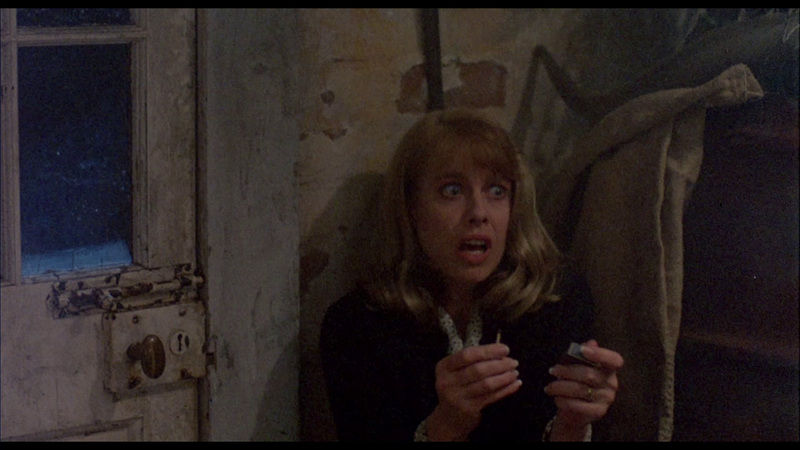 The rest of the cast are neither amazing nor terrible, though lead actress Harrison is pretty decent here. The AVC encoded 1.85.1 widescreen transfer is presented in 1080p high definition and it looks pretty solid. The transfer shows a bit of mild print damage but it is free of compression artifacts, edge enhancement and noise reduction problems. Grain appears naturally throughout, as it should, and color reproduction is quite nice. Black levels are solid and skin tones look good. Detail is solid, though some scenes fare better here than others likely due to how the film was shot. 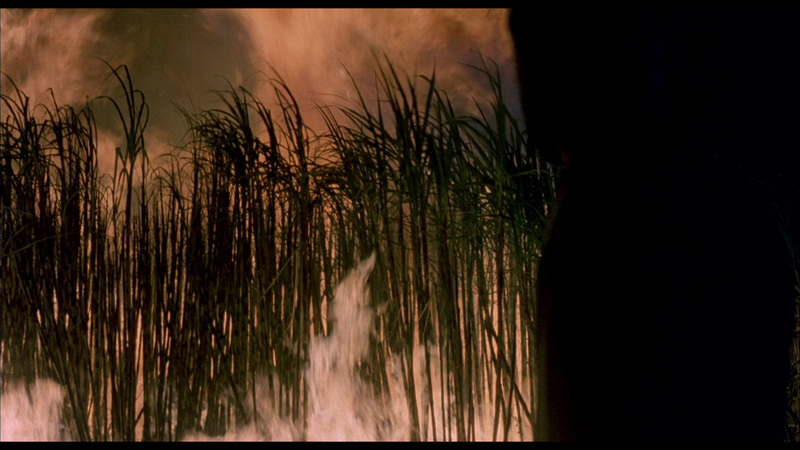 Still, this is a solid HD transfer from Scorpion, one that should make the film’s fanbase pretty happy. The only audio option for the feature is an English language DTS-HD 2.0 Stereo track, but it gets the job done. Dialogue is easy to follow and represented clearly enough. 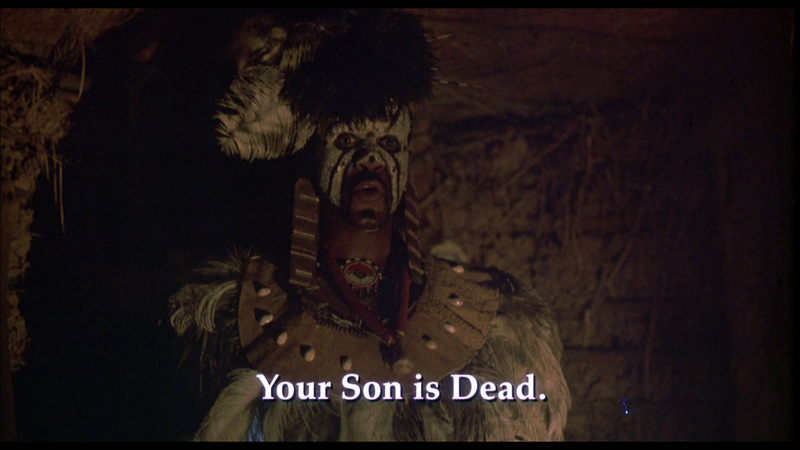 The score is pretty strong here, almost comically so in spots, but it works in the context of the movie. Optional subtitles are provided in English. 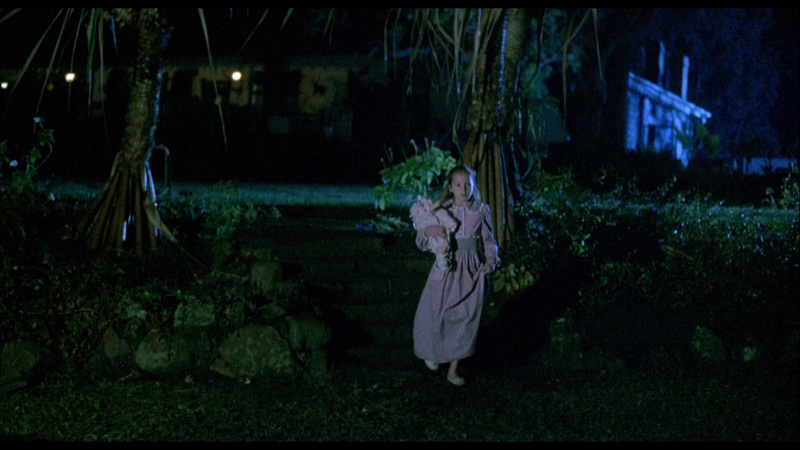 Extras are limited to a trailer for the feature (under the alternate Panga title), bonus trailers for Deep Space, Shredder, Nothing but the Night, and The Devil Within Her. Menus and chapter selection are also provided. 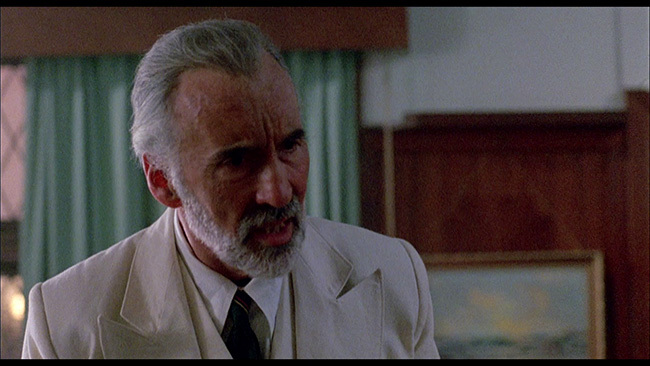 Curse III: Blood Sacrifice is an entertaining enough picture thanks to an intriguing concept, a few cool murder set pieces and a supporting role from Christopher Lee. It wears its low budget on its sleeve at times but we can look past that. 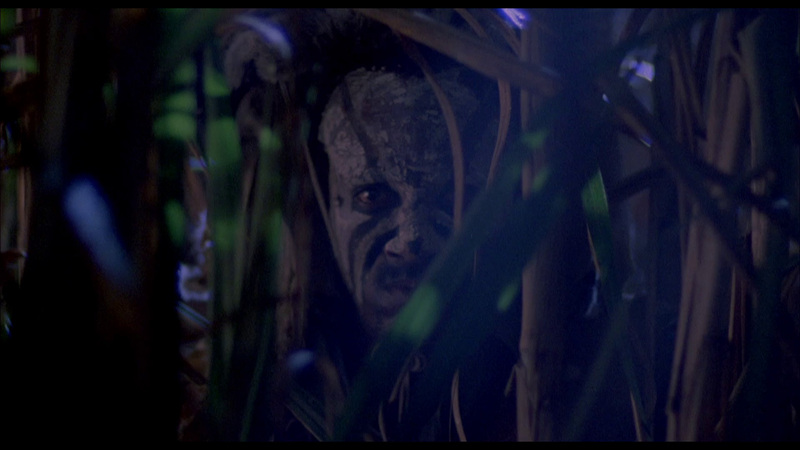 Scorpion’s Blu-ray release is light on extras but hey, it looks and sounds pretty decent. Essential? No, but fun. 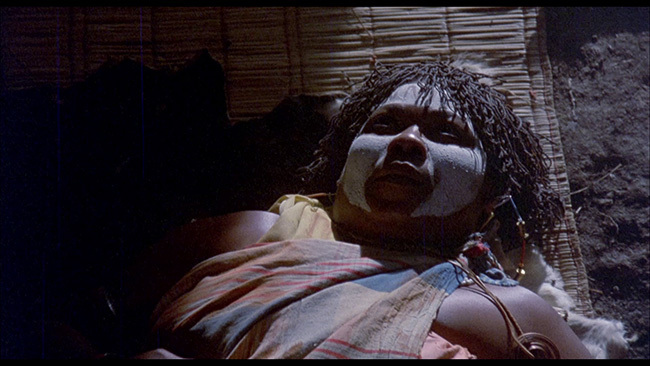 Click on the images below for full sized Curse III: Blood Sacrifice Blu-ray screen caps! Watched it some years back and found it pretty blah. I liked the monster but overall an underwhelming experience. I love the first two films however.